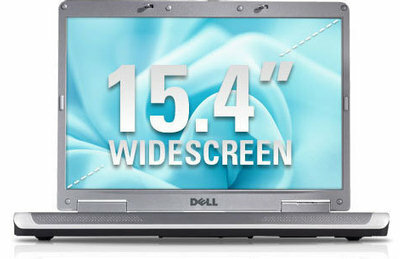 Dell Latitude 131L is a laptop or notebook computer designed for small businesses who need to maintain their high level of productivity while on the move. Dell Latitude 131L features ATI chipset at the core that handle image and video efficiently, with option of AMD Sempron or AMD Turion 64 X2 dual-core processor. Other specifications include DDR2 533MHz memory slot, HyperConnect ready with dual-band Wi-Fi productivity that is compatible with 802.11a/b/g WLAN network, 15.4″ wide-aspect 16:10 LCD display screen, build with steel hinges and patented Dell Strike Zone technology, plus advanced security feature such as WPA2 and CCX network security compatibility, BIOS port disablement capability, cable lock slots and optional Computrace BIOS tracking software. Latitude 131L is Windows Vista Capable. TrustedReviews reviews Dell Latitude 131L and concludes with overall rating of 7 out of 10 that the 15.4 inch widescreen display, with a native resolution of 1,280 x 800, is a solid performer too and lacks the glossy reflective finishes that are inappropriate for office environments. Latitude 131L is a solid performer. Business notebooks are never going to be the most exciting of things and this is no exception, but it does what it’s supposed to do with aplomb and offers plenty of value for money.